I am a native of Nashville, Tennessee, and received all of my degrees from institutions in the central Tennessee area. My early interests were in natural history, but especially animals. At first I planned on being a veterinarian, then later, in college, a forest ranger. I received a B.S. degree in Biology from David Lipscomb College in 1972, spent a year in graduate studies at Austin Peay State University in Clarksville, and then returned to Nashville for doctorate studies at Vanderbilt University. Very early in my tenure at V.U., I became very favorably impressed with Dr. Robert Kral, who was and still is widely recognized as one of the top 2 or 3 field botanists in the southeastern U.S. I chose to work under his guidance, and conducted a taxonomic and life history study of a section of the genus Aster for my dissertation. I received the Ph.D. in General Biology in 1980. The following year I worked for the U.S. Park Service, conducting a floristic study of Shiloh National Military Park in southwestern Tennessee. In the Fall of 1981 I arrived on the EKU campus as a Visiting Professor. Two years later my position was changed to tenure- track, and I have subsequently progressed to Full Professor. My regular teaching load at EKU has been General Botany, Principles of Biological Science, Dendrology, Aquatic and Wetland Plants, and Plant Systematics. Other courses that I have taught include Introductory Biology (for non-majors), Economic Plants (non- majors), and Plant Population Biology and Conservation of Rare Species (graduate students only). In the fall of 2005 I will teach Evolution for the first time. My off-campus and international field classes are detailed on my homepage. My graduate students usually conduct research in the following areas--vascular flora of a particular region (ie. county or natural region); species biology (life history studies of rare plants); state-wide generic studies (taxonomy and ecology of a particular genus across Kentucky). Finished thesis projects and on-going projected are linked to my homepage. My own research focuses on the flora of Kentucky and the southeast U.S., wetland flora of the Cumberland Plateau, rare species biology, and taxonomic studies of Aster. I frequently conduct rare species or vegetation surveys on a consulting basis. 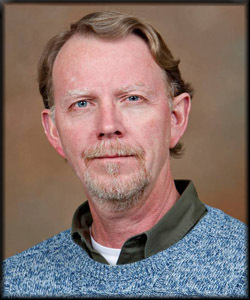 I received the CNMS College Research Award in 1991, and was named the Kentucky Naturalist of the Year in 2003. In 1986 I helped to establish the Kentucky Native Plant Society, which now numbers over 400 members. I have also functioned as the Curator of the EKU Herbarium, which has grown from about 9,000 specimens in 1981 to about 75,000 specimens in 2012. See my vitae. I taught in Ecuador in summer 2006, and in the spring of 2007 I conducted a botanical study in Costa Rica (while on sabbatical from EKU); the study site, "Los Cusingos," is a well-known bird sanctuary, and the former home of Alexander Skutch, a world-renowed ornithologist. I was in Costa Rica from Jan 21 to June 1, except for about 2 weeks n March when I returned to KY. I have made 3 more trips to continue my studies in Costa Rica in August 2008, in Feb 2009, and in May 2010. I have completed another book, Winter Guide to Woody Plants of Kentucky and Tennessee, with B. Eugene Wofford of Univ. of TN., and it will be published in Fall 2013. I plan to enter the RTP (Retirement Transition Program) at EKU, beginning in Fall, 2013, and thereafter will teach part-time at EKU for the next 3 years. I hope to continue doing research and writing during this period.